Are the Atlanta Falcons the Most Valuable Team in the NFL? The NFL is the most popular professional sports league in the United States, and that fact is reflected in the values of the league’s 32 franchises. According to Forbes, the average NFL franchise is worth $2.57 billion as of 2018. 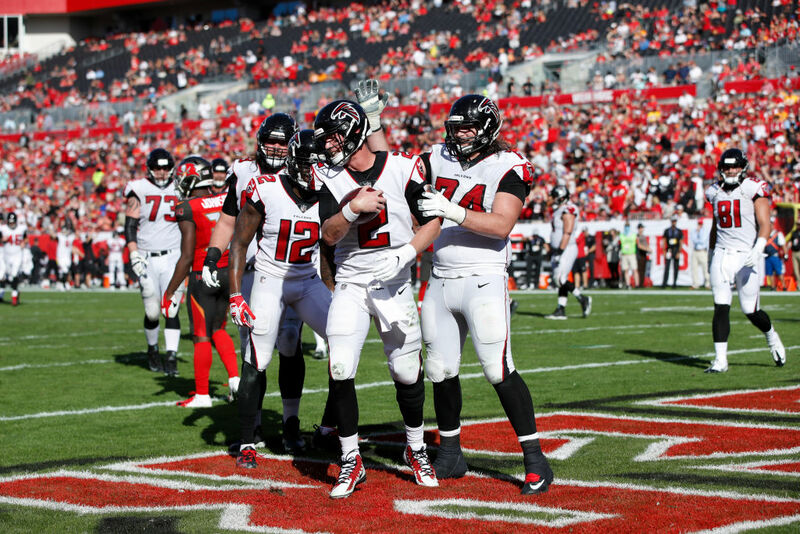 How do the Atlanta Falcons and other teams stack up compared to that number? Let’s take a look. How much are the Atlanta Falcons worth? Falcons majority owner Arthur Blank recently sold 10% of the team for a reported $300 million. That gives the team a $3 billion value, which is almost half a billion more than the league average. But does that make the Falcons the league’s most valuable franchise? Not even close. 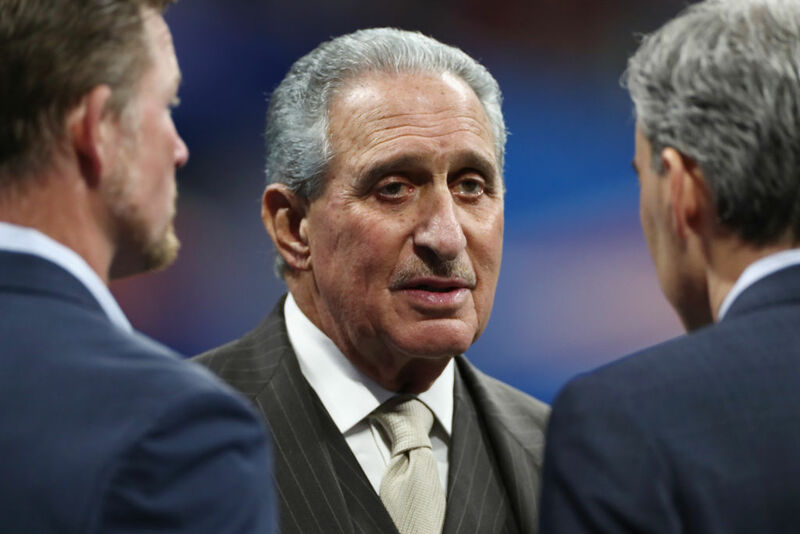 The Atlanta Falcons don’t even make the top-10 of Forbes’ list of the most valuable NFL teams, which the periodical published in September 2018.
Who is Falcons owner Arthur Blank, and what is his net worth? Arthur Blank is a co-founder and former CEO of The Home Depot. He purchased the Falcons in February 2002 for approximately $545 million. He founded and is the majority owner of the Atlanta United FC MLS club, which began play in 2017. Blank has been married three times, and he and his most recent wife announced their divorce in January 2019. His net worth is reportedly $4.9 billion, according to Forbes. He has six children. This probably won’t surprise many people because they are, after all, known as America’s Team, but the Dallas Cowboys are the most valuable team in the league. Forbes estimates that the Cowboys are worth $5 billion, a 4% increase year-to-year. That means the Cowboys, according to Forbes, are the first sports team to reach that threshold. That despite having not reached the Super Bowl in almost a quarter-century. Majority owner Jerry Jones bought the Cowboys in February 1989 for $140 million. So while the Atlanta Falcons being worth $3 billion is impressive, it’s still only 60% of what the most valuable NFL is worth. How much are the New England Patriots worth? It was quite the day in the city of champs. If the Cowboys are worth $5 billion and they haven’t won the Super Bowl in more than 20 years, then the Patriots must be worth a lot of money with their six championships since 2001, right? Yes. In fact, Forbes ranks the Patriots second in value, right behind the Cowboys. The Robert Kraft-owned team is worth an estimated $3.8 billion, which represents a 3% year-over-year increase. Kraft bought the team in 1994 for $172 million. The Rams moved from St. Louis to Los Angeles before the 2016 season, and following a 4-12 record that year, the team has made the playoffs each of the last two years. Thanks to the Rams’ move to Los Angeles — and the team’s upcoming stadium in Inglewood, Calif. — along with their improved performance on the field, the team’s value is on the rise. As of September 2018, the Stan Kroenke-owned team was worth $3.2 billion, a 7% increase from the previous year. Kroenke became the Rams’ majority owner in 2010, paying a reported $750 million for the franchise that was based in St. Louis at the time. What is the average NFL team worth? According to Forbes’ most recent list in 2018, the average NFL team is worth $2.57 billion, which is a modest 2% increase over the prior year. That represents the smallest increase in franchise values since 2011, when the value of the average NFL squad dropped by 2%. In the 21st edition of Forbes’ annual list of NFL team values, the numbers have risen nearly eight times, with an 11.6% annual rate.